Here is a listing of a number of "lost pubs" from within the branch area. Obviously it does not cover ALL closed pubs going back to the time of the ark! It is approximately covering the time Opening Times has been published. Both a description of the convoluted boundary of the Stockport & South Manchester Branch and a pictorial rendition are shown here. At each month's branch meeting (dates here) a number of pubs are proposed for our Pub Of The Month award. The proposing member then explains why the pub deserves this accolade. Comments and questions are then invited from the floor. When all arguments have been made a single transferable vote system is used to select that months winner. There are no written criteria for eligibility, only a set of guidelines. The proposer MUST have visited the pub within the previous four weeks. - Ensures an up-to-date report and not a long distant fond memory. The landlord must have been in place for six months or more. - Ensures they have a proven track record and not riding on their launch event. Having won the award, a landlord becomes ineligible until two years have passed. The award is given to a pub of excellence and not just because it serves a multitude of beer. 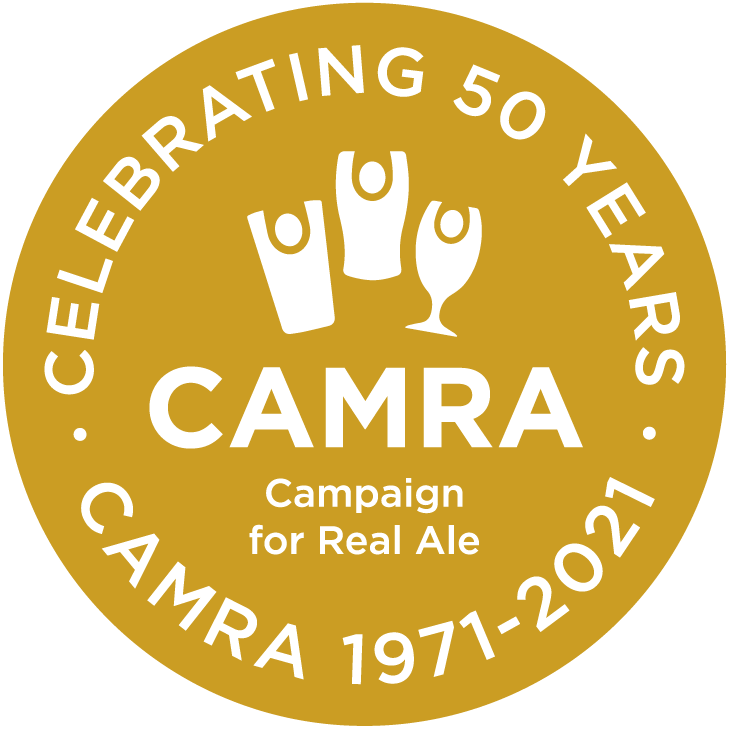 Unlike the popular perception that awards given by the Campaign for Real Ale are to the pub with the most beers, we in Stockport and South Manchester endeavour to recognise excellence, commitment, enterprise and sheer hard work. Thus an establishment selling but a single beer, and located in a back street industrial estate, but which is packed every night and runs three darts team and annual events for senior citizens is as likely to win as a multi-ale free house. The greater part of the Metropolitan Borough of Stockport including Stockport Town Centre, Brinnington, Offerton, Great Moor, Hazel Grove, Bramhall, Woodford, Cheadle Hulme, Cheadle, Gatley, Heald Green, Adswood, Cheadle Heath, Edgeley, the Four Heatons (Chapel, Mersey, Moor and Norris) and Reddish. The area on the eastern side of Stockport MBC, including the districts of High Lane, Marple, Compstall, Bredbury, Romiley and Woodley is covered by the High Peak and North East Cheshire Branch. This apparent anomaly is because when the local branches of CAMRA were formed, these areas were covered by Bredbury & Romily Urban District Council plus Marple Urban District Council so were not, at the time, part of Stockport. The whole of the south-eastern part of the city from Princess Parkway/M56 north until Denmark Street, then along Oxford Road until the Mancunian Way then along the River Medlock. This includes the districts of Wythenshawe, Northenden, Didsbury, Withington, Fallowfield, Rusholme, Moss Side, Chorlton-on-Medlock, Burnage, Levenshulme, Longsight, Ardwick, Gorton, Beswick, Bradford, Openshaw and Clayton. The branch previously covered the quadrant of the City Centre between London Road/Piccadilly and Oxford Street/Road south of Mosley Street. This, along with the whole city centre, is covered by the newly formed (Spring 2016) Manchester City Centre branch. The area of Manchester west of Princess Parkway/M56 up to and along Denmark Street, then along the centre of Oxford Road until the Mancunian Way, this is covered by Trafford & Hulme Branch. All of Manchester north of both the inner ring-road/Mancunian Way and the River Medlock is in the Manchester City Centre Branch. The boundary (usually) runs down the centre of the indicated roads and rivers. In areas with few houses etcetera straight lines have been used rather than the exact boundary, which corresponds to the town, city or old rural district boundary (at the interface with Marple).